Sandy decided to make this for breakfast today. It’s a recipe by Ted Allen, host of Food Network’s All-Star Academy. The recipe appeared in the April 13, 2015, issue of PEOPLE. Sandy improvised with what we had in the house. 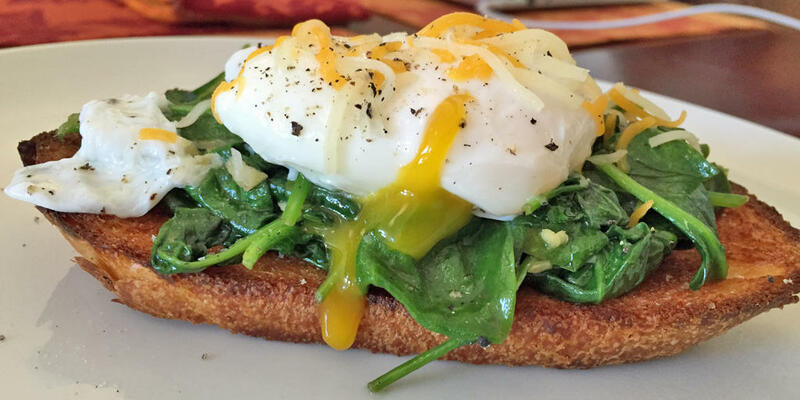 He grilled sliced sourdough, topped with spinach sauteed in olive oil and minced garlic, put a poached egg on top, and sprinkled with a little shredded cheese.